The cryptocurrency space is constantly expanding in all areas, gambling being no exception. An official partner of Bitcasino.io, Sportsbet.io is a licensed Bitcoin-based online sports betting platform which opened its doors on June 1st, 2016. Both sites are powered by parent company Coingaming.io so they have a familiar look and feel to each other, with a comfortable betting interface and atmosphere. There is a mobile version as well, so users can play wherever they are! Claiming to have the best odds offerings in the sports betting market, Sportsbet.io boasts a comprehensive variety of betting options. They have betting markets on all major events and championships, adding up to a staggering 350,000 events per year, which is constantly growing. There are live bets on hundreds of in-play markets for all major sports, including the relatively new and growing esports field, with games such as CS: GO and League of Legends. For players around the world, the odds can be changed to different formats, such as decimal or American. Their featured sports and esports categories are easy to find, with all other sports just below it, for a total of 33 categories (at the time of writing). Here users can check all the current and upcoming games and events and active bets for them. There is a convenient bet slip that can be expanded, showing current bets and info about them. If you enjoy the site, but would like to take a break from sports betting, Sportsbet.io has an impressive casino with loads of traditional games for you to choose from. 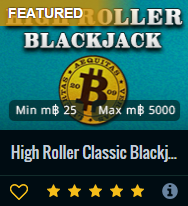 They even have live international dealers with web streaming for a more immersive experience with several games, including blackjack and roulette. If you wish to practice first before betting with real Bitcoin, you can play for free at the free tables. Not only that, but Sportsbet.io lets players create their own bets with Virtual Sports. Players can bet on virtual races, such as horse or dog racing, and other virtual events. There is no waiting for a match since they are individual, virtual events. Sportsbet.io only supports Bitcoin, giving all the benefits of the cryptocoin, plus quick confirm times and extra security with 2FA. It has links to exchanges for quickly grabbing some Bitcoin to bet with. They also have many offers, promotions, and giveaways. Some of these are time-limited but they can send an email to alert users right away.